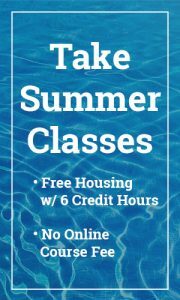 The Accel Program is for high school juniors and seniors at accredited public or private high schools in the state of Georgia, and is operated in all school terms except summer. The Georgia Student Finance Commission, which publishes a directory of Accel-approved courses on its website at GACollege411.com only pays for courses in the areas of the core graduation requirements for college preparatory students: English, Mathematics, Social Studies (including anthropology, communication, political science, psychology, sociology), Science, History, Economics and Foreign Language. It is the student’s responsibility to verify that the classes they are enrolling in are listed in the directory of Accel-approved courses. Recipients are now limited to four semesters of Accel payment, regardless of the number of credit hours attempted during each of the four semesters. Students can enter the program as early as 9 th or 10 th grade, if they meet the academic requirements. However, such students are still limited to four semesters of Accel payment. Mandatory fees: Accel will pay $166.66 per hour for students enrolled at least part-time (1-11 hours) and a maximum of $2,000 per semester for full-time. Any amount charged above the cost will be the responsibility of the student to pay to Shorter College. Students may elect to take courses at Shorter University that are not on the Accel-approved list and will be responsible for paying the tuition. Students must complete an Accel Program Application which is located on the GA College 411 website. It’s very important that this process be completed prior to enrolling in university courses. Otherwise, a risk will exist where the Accel program might not pay towards incurred tuition charges. The HOPE Scholarship will pay for up to 127 credits hours of university coursework. The credit hours that are paid for by Accel to Joint Enrollment Students are subtracted from your total HOPE credits. In short, you are drawing on your HOPE funds early because you are taking university courses early. HOPE/Accel recipients must have a cumulative 3.0 GPA in university coursework at the 30 hour checkpoint to be eligible to renew their HOPE scholarships. Although they are receiving Accel funds, JEHP students must still complete the e-HOPE application available from the GA College 411 site to receive HOPE funding after high school graduation. We encourage you to complete the e-HOPE application and a FAFSA application for other sources of financial aid by January of your senior year in high school.